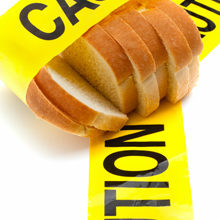 Think you have to give up bread, pasta, noodles or carbs while on a gluten-free diet? Think again. Here is the ultimate ingredient list to making gluten-free cooking simple. 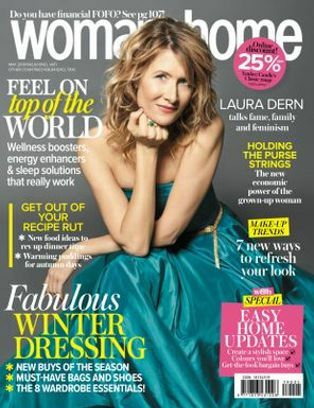 Gluten-free flours are now widely available in most supermarkets and most stock an all-purpose gluten free flour. 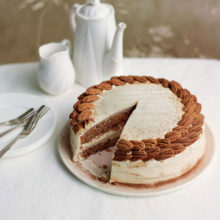 Alternatively try almond, coconut, rice or tapioca flour. TOP TIP: Most gluten-free flours absorb more water, so add a little more egg, fruit juice or milk to your recipes when using them. 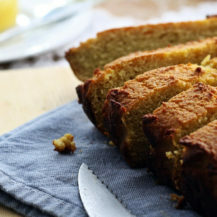 Looking to make your own gluten-free bread at home? 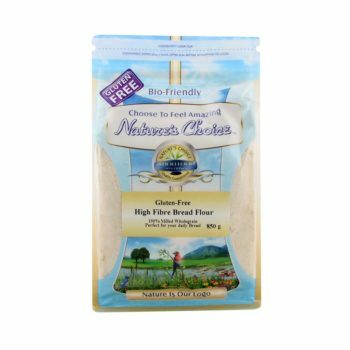 Try Nature’s Choice High Fibre Gluten-Free Flour, R49,95 for 500g. White and brown rice, quinoa, polenta, lentils, chickpeas and millet are all starchy gluten-free alternatives. Use polenta as a substitute for bread crumbs for meat, fish and veggies. Use any of the above to turn a stew or curry into a hearty meal. DID YOU KNOW? Plain, white rice is naturally wheat and gluten free? ALSO SEE: Try this delicious red rice salad with pomegranates and cranberries for lunch or as a side dish. There’s no need to give up pasta when going gluten free. Try one of the many varieties of gluten-free pastas available in health food stores and some supermarkets. Also look out for soba or rice noodles. Add these to stirfries for a delicious gluten-free Asian-inspired meal. 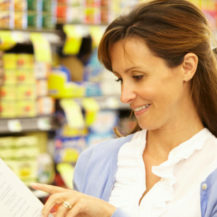 Make sure you read all the labels of your favourite sauces as most will probably contain some form of gluten or wheat. Here is a list of gluten-free sauces to add flavour to your food. 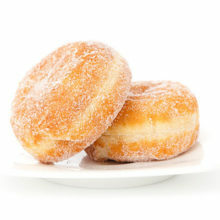 Check the labels and only buy products that are marked gluten free. Oats are naturally gluten free but be aware of cross contamination. Some oat products and cereals are made in factories that manufacture products containing gluten too. 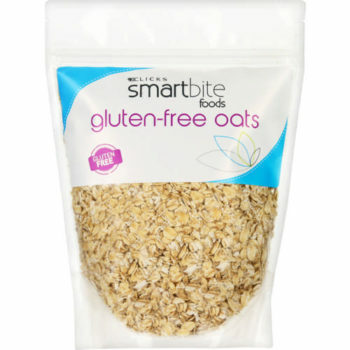 Clicks has a fabulous range of gluten-free products in their Smartbites range. Their gluten-free oats, R59,99 are 100% gluten free. 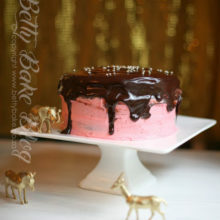 Gluten is often used as thickeners in processed meats. Be sure to read the label. ALSO SEE: Craving pizza? Try this flavourful pizza made with a gluten-free base.